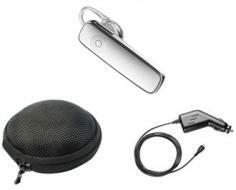 The Plantronics M Series Bluetooth Headsets is the modern technology wireless headset in headphone industry. The Plantronics M Series Wireless Headsets that fit your working style. Connect to a desk phone, mobile, or computer via the wireless or wired connection. The Savor M Series offers excellent audio quality, up to 300 feet of wireless range and your choice of four wearing styles. The lightest Dect headset on the market that features a hot swappable battery for unlimited talk time and can be worn three ways to match your personal style. The Plantronics M Series Bluetooth Headphones has efficient features for listening non-stop music and movies. 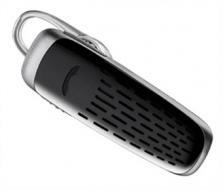 Plantronics Savor M Series Bluetooth headset offers high-quality PC audio and seamless Bluetooth connectivity to mobile phones and tablets. Plantronics M Series Wireless Headphones has the matchless audio quality, smart sensor technology that automatically answers a call when you put on the headphone, and a detachable cable for taking your mobile calls throughout the office. 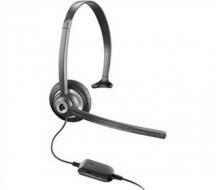 We are skilled in headsets or headphones and you can buy your favorite products from our website Telegiants.com. 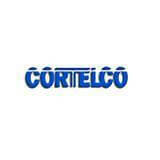 We also offer lifetime support on all our products along with 30 days money back guarantee and extended warranty. The Plantronics headsets are always considered as the name of quality by all customers since 1961 when Plantronics invented first featherweight headset. Since then, the expertise, rating and dependability are all fabulous; contention is in no place close to Plantronics and Plantronics headsets. The Plantronics M Series Headsets allows your hands completely free while traveling, riding a bike, or driving a car, caring about your well-being in mind along with communication needs. While staying in office or home, Plantronics Headsets allows you to listen to phone calls and multi-task as well, but it’s not easy to wear these headsets all day long. By keeping the comfort level in mind, you can get Plantronics Eartip Kit for M Series Headsets which are ultra-lightweight, and you have to check your ear now and then just to make sure it's still there. The Plantronics M70 Black Bluetooth Headset is the modern technique for listening the matchless sound of non-stop music and movies. The Plantronics M70 Bluetooth headset is very frivolous and contented that it is not easy to remember you’re wearing the headset. During setup, you simply follow the voice prompts to select English, Spanish or French for the clear status alerts on talk time, battery level, connection and more. The Plantronics M70 Black Bluetooth Headphone can also control music tracks and volume without touching your smartphone. If you forget the Bluetooth headset for a smartphone in the car or at the office, the M70 knows to enter its DeepSleep hibernation mode to protect the battery. 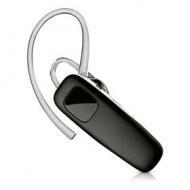 Plantronics M55 Bluetooth Headset is an outstanding technical device which comes with Bluetooth technology. 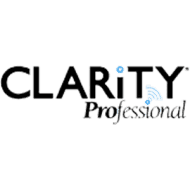 It let you enjoy your work free of tension because while having it you don’t have to answer or ignore calls through your buttons its voice commands feature handles all this type of stuff moreover it uses vocalist service to manage your emails. It can manage your phone calls through voice recognition technology. Its high-quality Bluetooth headset has dual microphones which reduce the noise of disruptive environment and let you enjoy clear crisp quality conversations free of any disturbance. 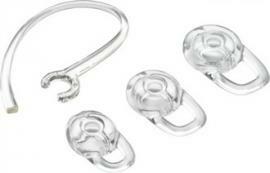 It is designed in a way to slip into the pocket easily so it’s easy to manage. 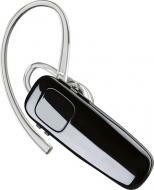 Plantronics M25 Bluetooth Headset is a booming technological advancement that caters your various needs. The device lets you respond to your coming calls without pressing the buttons. The deep sleep mode of the headset keeps working for five long months so that you can enjoy listening to your music without any hindrance. Moreover, you will be able to listen to the news and happenings around through your internet radio, will get directions during your drive and would never miss a single call. Audio alerts in this superb Bluetooth informs you about the duration of your ongoing call, remaining battery level and much more. Noise canceling quality and echo reduction ability is installed in the system during manufacturing. 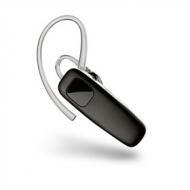 Plantronics M50 Bluetooth Headset is a hands-free Bluetooth device exclusively taking into consideration your needs. 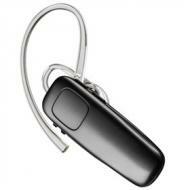 This device lets you enjoy music, answer calls and listen to your favorite tunes without any disturbance. It is wireless and Bluetooth enabled which makes it even more useful. One of the most distinguishing features of this device is that with the help of multipoint technology you can connect your device to two mobile phones at once and receive calls from each one separately without any havoc. Its long battery time saves you from the trouble of charging your phone again and again and talk-time alerts let you monitor the talking time left. It is specially designed taking into consideration your comfort and ease. Plantronics M90 Wireless Headphone is engineered with multipoint technology that conveniently connects with two phones and has the ability to respond to the coming calls of either phone. The cordless headset lets you enjoy unstoppable music, aids you in quick response to the calls and helps you in connecting to other media. Enjoy your favorite tunes and music through audio streaming. Voice alerts keep you updated and noise canceling features of the device provides an undisturbed talk time. The extended battery timing is perfect to carry out your important calls without any worries of disturbance and battery time out. 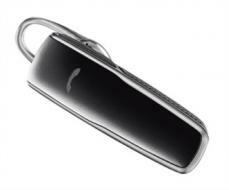 Plantronics M214C Bluetooth Headset is a wireless over the head headset that will help you in carrying out clear calls. The noise canceling feature of the headset maintains the perfect quality of the call where the wind and air particles are restrained to disturb the frequency of your phone calls. Moreover, mute controls, microphone adjustment switch, and one-touch inline volume increment the quality of the sound which not only aids you but also aids the caller in maintaining an uninterrupted, peaceful and smooth conversation. When you will purchase your advanced Plantronics M214C Bluetooth Headphone is a cost-effective device where you just have to invest a little sum of money to enjoy the promising features. Plantronics Marque M155 is sleek and lightweight, the Plantronics Marque M155 Bluetooth headset is efficient for smart phone clients, relieving you to tap, type and run. With a weight of in at just seven grams, Plantronics Marque M155 provides voice-guided combining for iPhone and Android managing system Bluetooth headset so your speech recognition will be better and clear, you can answer or ignore contacting completely hands-free, and (the A2DP standard), which allows you to concentrate on songs, GPS recommendations, or your e-mail.